I returned yesterday evening from an amazing adventure in Cape Cod centered around a 20-mile swim from Plymouth to Provincetown. On Monday morning I picked up a Zipcar, collected Rondi after her early swim at Riverbank, and drove up to Plymouth, MA. It was a beautiful day for a drive, and with a trip to an unfamiliar part of the country and the excitement of the next day’s swim the road before us seemed full of exciting possibility. We arrived in Plymouth in time for a quick walk around the harbor and a lunch of lobster rolls before checking into our hotel. Then it was back down to the harbor to meet up with Dave and boat pilots Dan and John. The plan was for Dave and me to swim together, flanked by his boat (Agent Orange), which would be driven by Dan, and John’s Plymouth-based boat. Rondi would feed us both from John’s boat. I made arrangements with the harbor master to park my car overnight near the boat launch while I was away, and went over my feeding schedule and equipment with Rondi. We all discussed boat loading plans (2 am at the boat ramp dock), how the swim would go (route and feeding routines, swim protocol), and contingency plans (where the nearest hospitals were, what to do in case of shark sightings). The last of these was a bit of a concern for me going into the swim. Cape Cod’s seal population has been growing rapidly in recent years, as has the number of great whites that feed on them. There had been some sightings in the area, and a well-publicized attack several weeks ago on the Atlantic side of the Cape, a few miles around the point from where we were headed. I tried not to think about all this overly much heading into the swim—the risk of encountering dangerous wildlife was there, but it seemed very minimal, and in any case I knew that open-water swimmers regularly travel through waters populated by all kinds of sharks in places like California without incident. A bigger worry to me was that I would get the shark heebie-jeebies during my swim, and spend considerable time feeling fearful or jittery out in the ocean instead of enjoying it. On a happier note, John told us there had also been lots of sunfish sightings in the bay waters this season. I wasn’t sure what sunfish were exactly, but Rondi and Dave seemed to think that was cool, so I decided that they must be a good thing to hope to see during our crossing. After the meeting it was back to the hotel. I had a snack, then lay down to try to get some rest before the swim. The last thing I remember before drifting off was wondering what sunfish looked like. I ended up getting a good few hours sleep—I was snoozing by 6:30, and woke up excited and ready to go around 11:30pm. That was a little earlier than I’d planned on getting up, but it gave me plenty of time to have some cereal, get ready, and prepare some hot feeds and hot water for the boat. When Rondi awoke I asked her what sunfish looked like. She found a picture on her phone and showed me (they’re funny looking creatures! ), and we decided that its frilly back end looked like a tutu. While I made my final preparations she entertained me with some sunfish facts—they can grow up to 1000kg, they eat jellyfish, and swim really slow. I decided that if I started worrying about sharks during the swim I would think about sunfish instead. We arrived at the boat ramp a little before 2, with plans to start the swim around 3am. While I was sleeping Dave and Rondi had festooned Agent Orange with glowsticks that hung down a little over the waterline, to make the boat easily visible to swimmers during the dark. I had brought some glowsticks and battery-powered light strings for John’s boat as well. (Although both boats had various lights higher up on them, it’s nice to have some at swimmer’s-eye level too). Fellow CIBBOWS swimmer Mo arrived—he was another one of the five swimmers attempting the swim—and we loaded up the boats, climbed onboard, and headed down to the start. The other two boats were loading elsewhere, and while we were all starting from the same beach we were not attempting to coordinate the start times. Basically, when your boat arrived and you were ready to go, you splashed. Each swimmer’s time would be kept by his or her boat. We saw fellow swimmer Eileen just leaving the beach as we arrived, and a little ways into our swim we saw Greg’s boat heading into shore for his start. It was nice thinking of all of us out there somewhere, stroking along in the bay, due to converge eventually by the end of the day. It was quite dark—the four-day-old moon had set hours before, and clouds obscured most of the stars. The ride out was really amazing, with the three boats motoring along in the dark across the smooth water. Rondi and I sat in the bow of our boat, playing with some glowstick bracelets I’d brought along, giggling, and watching Agent Orange and Mo’s boat trail along behind us. I was feeling excited, a little nervous about the beach start in the dark, and eager for things to get under way. I mentally rehearsed what I needed to do once we got near the beach and slowed down: inhalers, lube (I’d already sunscreened back at the hotel), cap and goggles, attach lights. (I would wear one green blinking light on my goggle strap and attach a steady orange one to my suit so that I would be visible to our boats in the dark. In this, as in so many things, I followed the example of my more experienced swim partner Dave). We arrived near Whitehorse Beach, our designated starting point. I was glad to see that our boats could get us very close in to the shore—I had been worried about having to swim into a dark beach, but we were close enough that the sand was lit up from the boats’ lights. I took off my parka—the air was in the low-60s, and I had needed it during the zippy boat ride over--and got ready to swim. I asked John what the water temp was—he got a reading of 63—and debated whether to wear earplugs. I usually don’t if the water is above 60, but I wasn’t sure if the temp would drop as we went into deeper water. When I saw Dave was wearing his, I decided to go with them, figuring that taking them out if I didn’t need them would be easier than having them passed to me from the boat later on. When Dave and I were both ready we jumped into the water and swam, then waded, the few yards to shore. I didn’t want to put my feet down on the dark bottom, but eventually I had to. When we were completely out of the water and on the sand, we exchanged a few words, raised our hands to signal to the boats we were starting, then headed out into the water. We were soon swimming alongside each other with the dark water stretching out beneath us. · To be proactive and resourceful about fixing any problems or discomforts as they arose (an improving-my-skills goal—I hadn’t been so good at this during swims earlier in the season—as well as what I needed to do to help ensure that I would stay happy during the crossing). That first goal was indeed easily achieved. I wasn’t scared at all of the darkness once I was swimming in it. In fact, it was one of the most magical parts of the swim, mostly because there were tons of green glowing jellyfish beneath us. They ranged from grape size to softball size, and it was simply unreal watching them bounce along below us as we swam above. I could feel their squishiness on my fingers as I stroked along. Otherwise, it was pitch black below. It was like swimming in a lava lamp, for hours. Any air bubbles from my hand entry also seemed to glow in the water. When I turned to breathe, I could see the blue light strings on John’s boat and the glowsticks on Agent Orange, and sometimes I could see Rondi’s glowstick bracelets as she moved about on deck. Dave’s goggle and suit lights were also very visible, but surrounding the illumination of our little flotilla was nothing but darkness. I felt like we had only been swimming for about 10 minutes when Rondi signaled for our first half-hour feed, and those thereafter also seemed to come jarringly quickly. I was so mesmerized by the light show below that I was reluctant to stop for feeds, although it was nice to see Rondi and have her serve up some warm drinks. Since I had been unsure what the water temp would be going into the swim, I had prepared both warm and cold liquids (a rotation of tea, gatorade, juice, and milk), with some solid or pureed food every 2 hours. We had arranged for me to start off with warm feeds, thinking they might be a comforting thing to have in the dark, and agreed that I would tell her when I wanted to switch to cold. I ended up having warm feeds for about the first 2/3 of the swim. For a while my goggles and I weren’t getting along so well. At first feed I told Rondi that I might want to switch to my backup pair at the next feed, but by then they were working fine. Soon though I decided that I would be happier in my more favored type of goggle (I had started off with another model because it had clear lenses, which I thought would be better for the initial low-light conditions). I made the switch and was happier. Score one for goal number 4! I probably could have swum with the first ones for the entire swim, but why put up with something you can fix? After a few feedings I gradually began to notice that the sky to my left seemed to be lightening a little bit. Slowly things became brighter, and I could discern the outline of the boats against the sea and sky. The jellies became white-outlined translucent creatures rather than glowing green blobs. Dawn was approaching. The night was behind us, and we would soon be swimming into sunrise! That said, I'm glad you share details like the feeds, and something as basic as the goggles. Personally, I've been wearing the same kind of goggles for about 15 years. I thought for a while last year that TYR had discontinued them, and I started to stockpile them, but now they seem in better supply. But when I did the BU meet in Oct, I wore clear goggles for 2 swims, thinking it was an inside pool and all that stuff. For my last/3rd event I put on my normal mirrored goggles, and they were much more comfortable. What a terrific story so far, I am looking forward to the next installment! 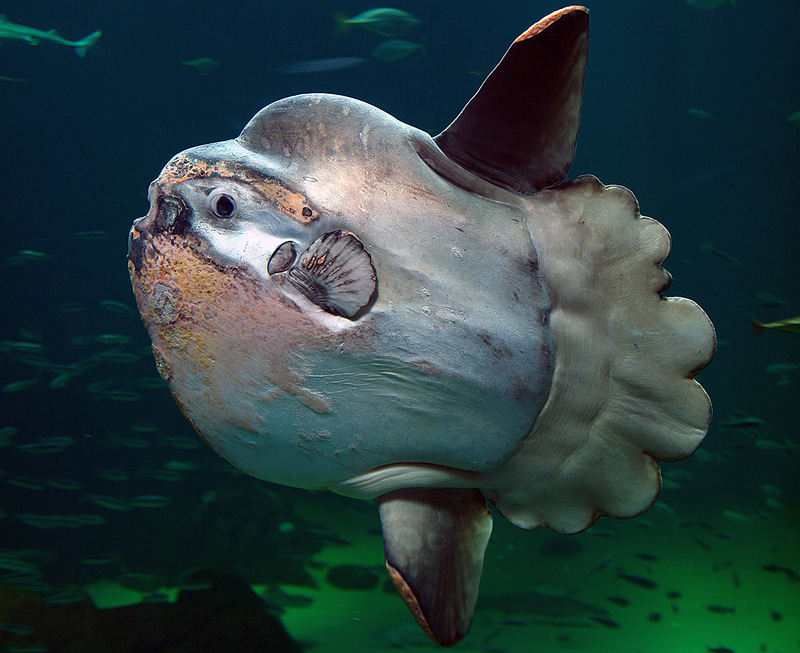 I hope to read that you got to see a sunfish (also called Mola mola), they are strange and beautiful creatures. I have seen them in the Pacific from boats, but I would love to see one from the water some time. Wonderful start. Though I didn't get the jellyfish light show on my one night swim, I really enjoyed the otherworldly experience of swimming in the dark. It was fun following your progress in the Twitter world. What a great swim! I also look forward to the rest of your story. I've been eagerly awaiting your account of this swim since I heard about it on FB. Cape Cod is one of my favorite places in the world and I was in Truro this summer for 2 weeks (just south of P-town). I swam in the bay with the jellies and I was so freaked out initially....swimming through them was like swimming through a bunch of small, squooshy water balloons. Your account of the jellyfish light show makes me WANT to swim through all that. It seems like swimming through all that helped distract from the shark heebie jeebies. You are a brave woman! I can't wait to read the rest of the installments. Thanks everyone for the kind comments! Next installment soon! What a great read...you make the swim sound magical, thanks for sharing. Janet, you are such a wonderful writer. I'm reading along and thinking, very excitedly, "yes, that's exactly what it was like". I particularly love the descriptions of the biolumenescent jellyfish and the sun-road (maybe that's part II). It's so cool to have experienced something alone, as an individual (and at the beginning of the swim I felt very much alone), and then discover that all of us were sharing that experience--and you say it all so well. Thank you for your beautiful write-up. So happy that we did this swim!!! Thank you Eileen! It was such a glorious day, I'm glad we share this experience even if we weren't together during the crossing. Can't wait to catch up with you in person. And congrats on your great day out there! Janet, you are such a wonderful writer....". I agree, janet. This has to be chapter or two for a forthcoming book.